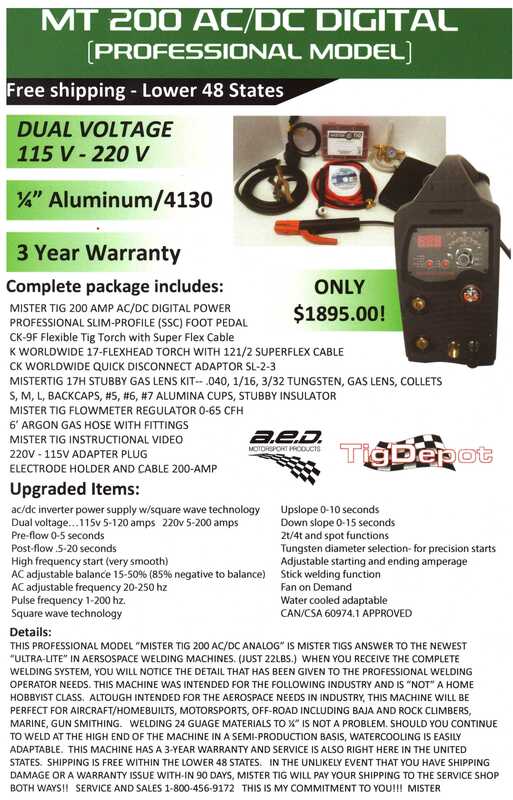 Dual Voltage Tig Welder Now on Sale! The MT 200 AC/DC is an "Ultra-Lite" aerospace welding machine. Only $1895.00 Call or Email A.E.D. to get yours today!